NU’EST’s April Concert ticket are sold out. NU’EST will hold a solo concert at the Gymnastics Stadium on April 12 to 14. The concert of NU’EST is sold out. NU’EST's solo concert, 2019 NU'EST CONCERT ‘Segno’ will be held at Seoul's KSPO DOME for a total of three days from April 12 to 14, has sold tickets at the same time as the ticket opening. Especially, all seats were sold out, as the concert was the first and held in six years. The first and second pre-orders of the fan club, which lasted for two days on the 18th and 20th, have been a hot topic even before the opening, and the number of simultaneous users of the two countries' combined total of 510,000 has been delayed, proving their overwhelming popularity. NU’EST released their new song "A Song For You" at 6 p.m. on 15, topping major music charts in Korea, and also topped K-pop overseas iTunes singles charts in 12 countries including Hong Kong, Chile, Macau, Mexico, Peru, Singapore and Thailand, raising hopes for the solo concert. The 2019 NU'EST CONCERT "Segno" IN SEOUL will show the members' wider musical spectrum and perfect performance in 2019 with a performance marking the full start of their NU’EST activities, and will communicate with the audience through a more colorful time and give fans a special time. 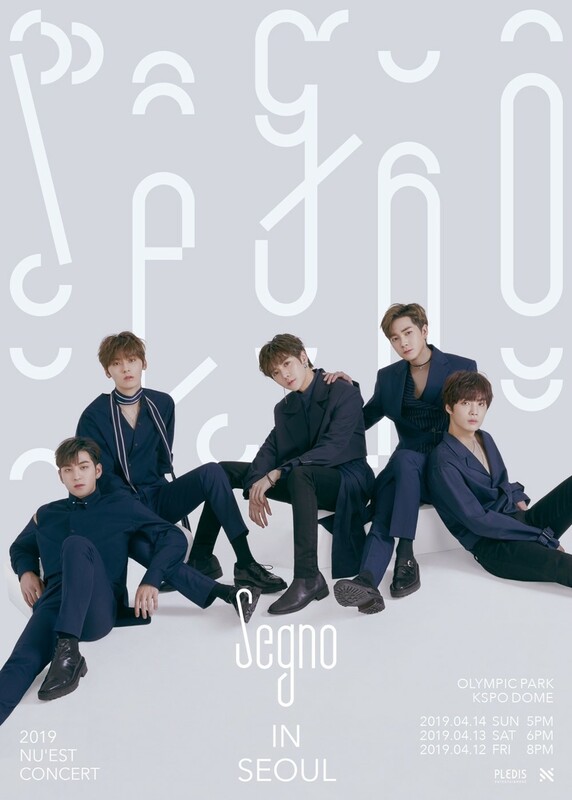 The NU’EST's solo concert, 2019 NU'EST CONCERT "Segno" IN SEOUL, will be held at 8 p.m. on April 12 (Friday) and will be held at the KSPO DOME Olympic Stadium in Seoul for a total of three days at 6 p.m. on April 13 and 5 p.m. and at 5 p.m. on April 14.